These Matcha Hemp Recovery Bites help speed up your recovery immediately after exercise. They contain approximately four parts carbohydrate for every one part of protein, which is the ideal ratio for post-workout fuel. Simple carbs come in the form of dates and coconut nectar, protein in the form of hulled hemp seeds, hemp protein, ground flax seeds and coconut flour. These bites also contain healthy fats in the form of coconut oil and electrolytes in the form of sea salt. 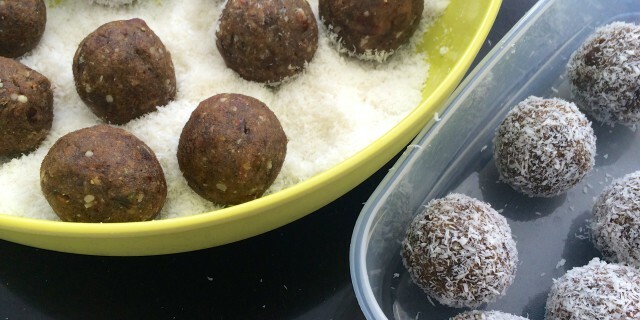 Coconut flour does not only add protein but also carbs to these Recovery Bites. Make sure to consume these bites within the 20 minute post-workout window to get best results!